Lewis, Scotland. Day 7, 5th July. 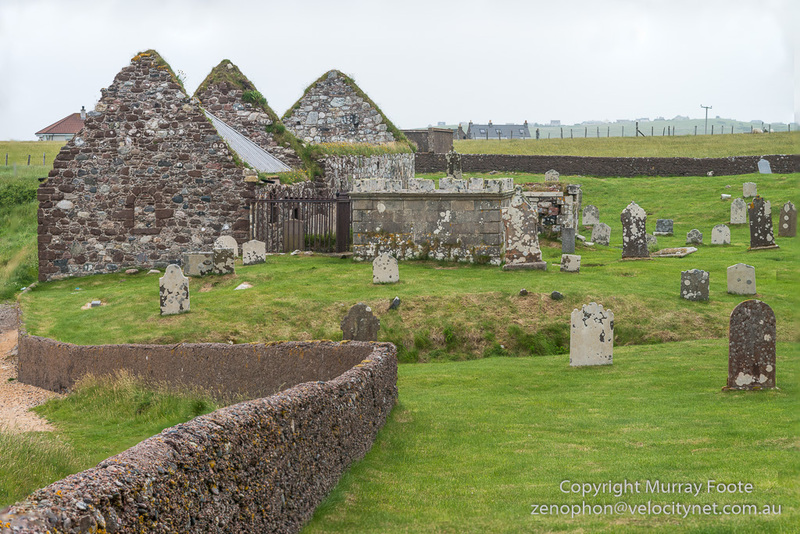 This is the Church of St Columba, on the outskirts of Stornaway, the main town in Lewis. Lewis, if you don’t know, is the largest island in the Hebrides, to the north-west of the Scottish mainland. 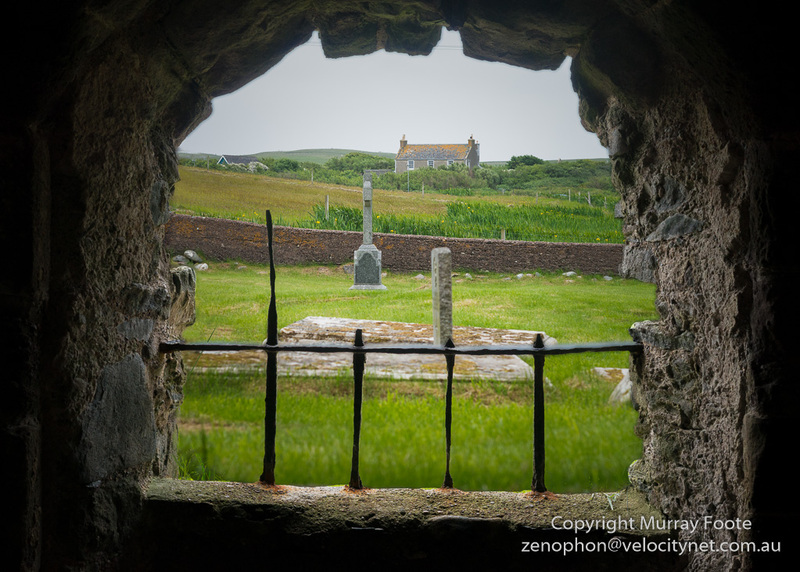 The church was built in the late 14th century on a site of a cell said to occupied by St Catan, a follower of St Columba. It was extended in the 16th century. (St Catan is presumably pronounced with a hard C and not to be confused with St Satan). This is a view inside the church, into the larger section which has no roof. Here we have a view that shows us the perspective of the previous image. It is taken from the end of the larger newer extension, which is open to the air, looking towards the original church building which has a temporary modern roof for reasons of conservation. The previous image was taken across the church, right down the other end near the far door. The date I think is either 1605, 1665, 1805 or 1865. The church was last used in 1821 so it can’t be 1865 and I think the stone is probably quite old. 1605 is perhaps the most likely date because the MacLeods were the ruling lairds on Lewis until they were supplanted by the MacKenzies in 1597 after many feuds and much bloodshed. Margaret is presumably Margaret MacLeod and if the date is 1605 she is probably the wife or daughter of a supplanted MacLeod chief. 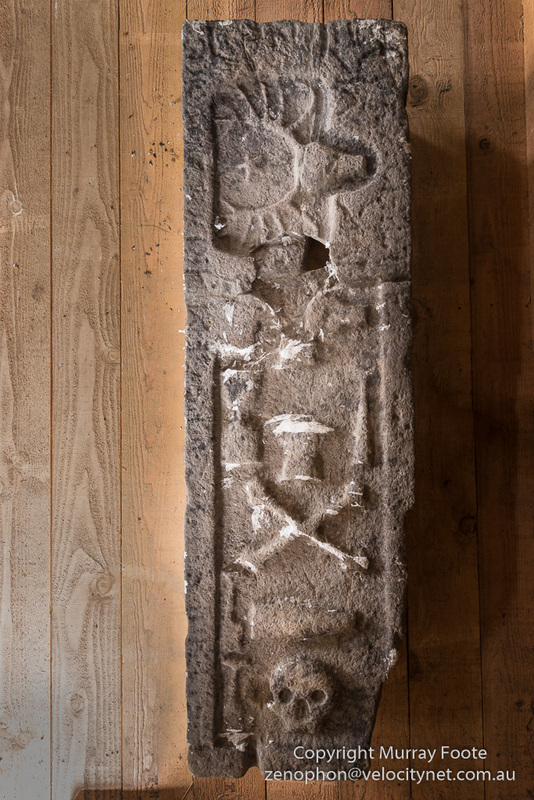 This is the grave slab of Roderick MacLeod VII. I think the VII means he was the seventh MacLeod chieftain of Lewis rather than that he was the seventh Roderick. 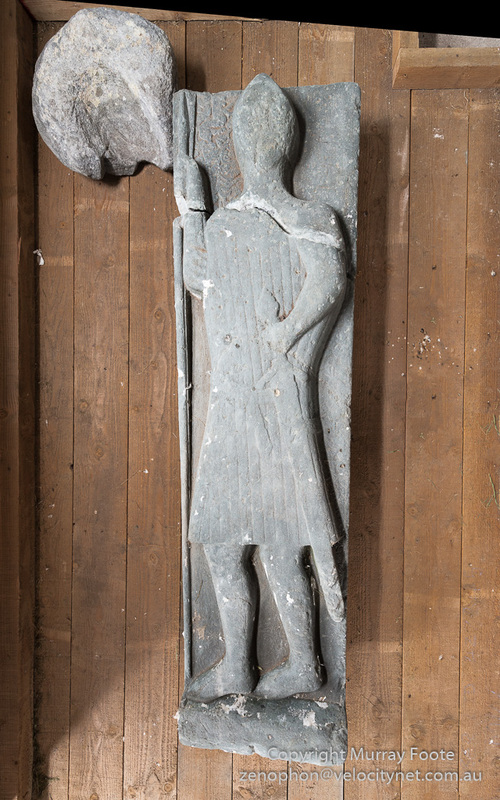 He would have had nominal allegiance to the Lord of the Isles in Islay until 1493 when John MacDonald forfeited his land and titles to James IV of Scotland. Roderick would have sworn allegiance to James IV in 1493 though Lewis remained effectively independent. In 1507 his successor Torquil MacLeod was exiled after his castle in Stornaway was successfully besieged because he was sheltering Domnal Dub, pretender as Lord of the Isles. The McLeod lands in Lewis were forfeited for a few years but restored after Torquil died. 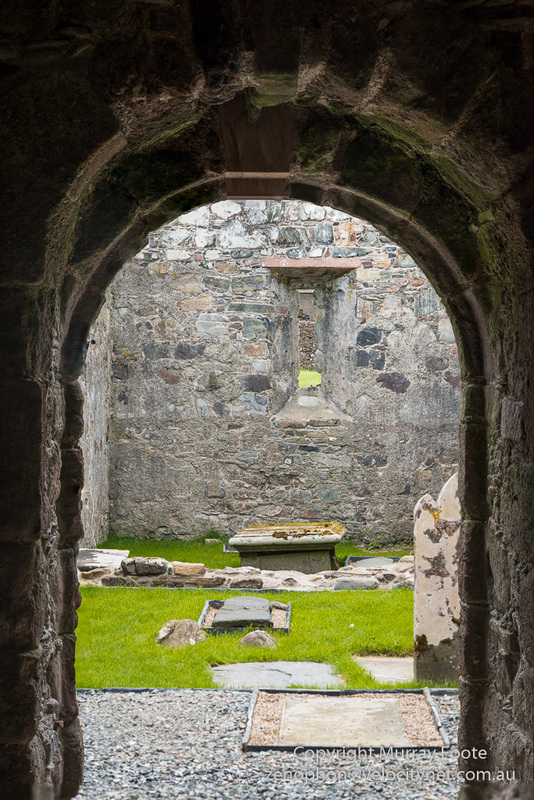 Margaret MacKinnon was daughter of Roderick MacLeod VII and mother of John, the last Abbot of Iona. 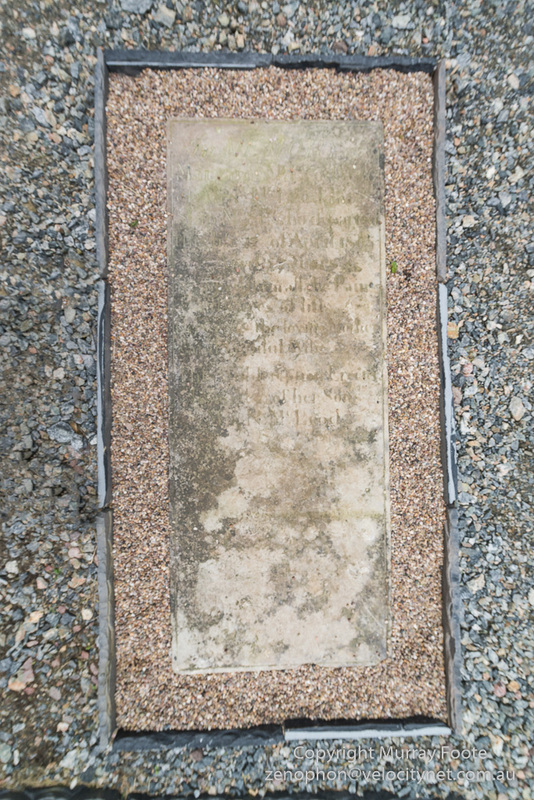 This is the gravestone of a 6-year-old child and a 12-day-old baby, from the beginning of the 19th century. It may also be of their parents but the first lines are not legible. 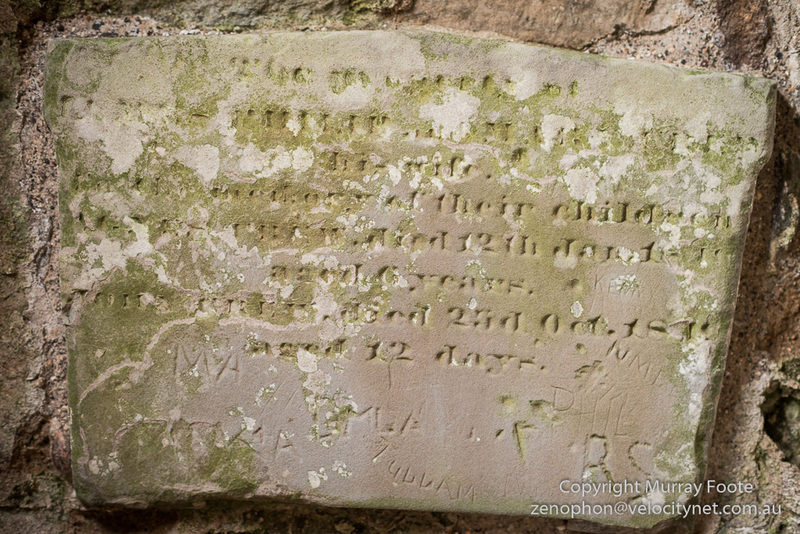 Sadly, it is also inscribed with numerous graffiti. Unfortunately, it is most unlikely that the perpetrators were arrested and publicly shamed. Inside the church looking out. Outside the church looking along the uncovered section to door of the original building. 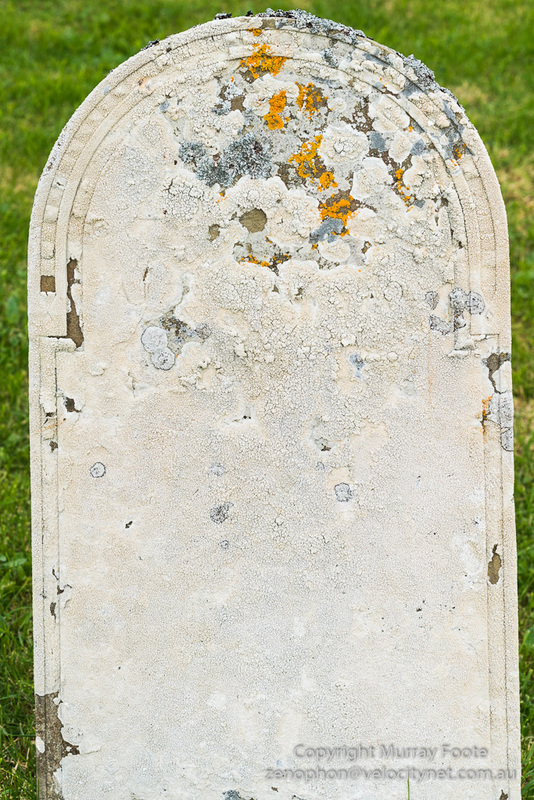 An old gravestone so covered with moss and fungus that no lettering is visible. 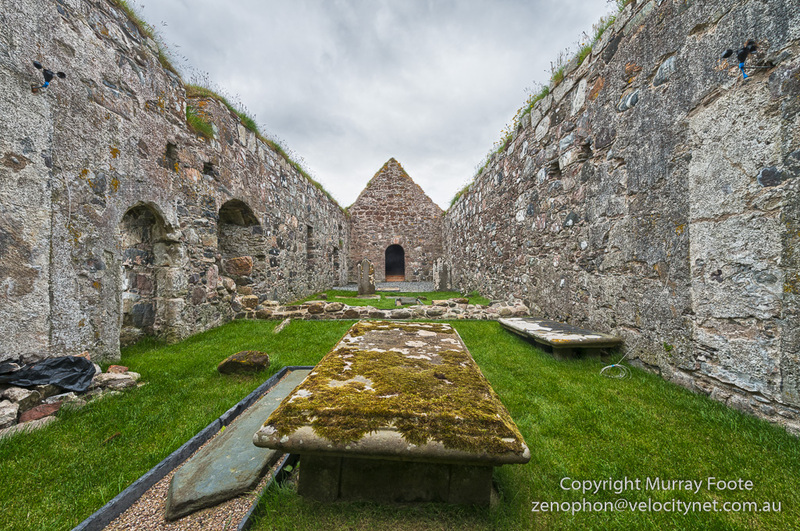 This entry was posted in Lewis and Harris, Scotland and tagged Archaeology, Architecture, History, Landscape, Lewis, Photography, Scotland, St Columba's Church, Travel. Very interesting history, and striking photos as usual. So what do you know… we used to dog-sit for a McLeod family. Their dog’s name was Torquil!! Always thought it was a great name. Thanks very much. They must have known something of their family history! Maybe even descended from Torquil. Bad luck. I’ve had that happen to me a few times when posting in forums. Thanks anyway!